While relaxing vacations certainly have their virtues—think pina coladas on a white sand beach, or a deep tissue massage at a desert spa—many people prefer a daily dose of action and adventure on their vacations. No, I’m not talking about golf, or tennis or long walks on the beach. I’m talking about real activities and adventure—perhaps even a little danger. For travelers who want to get out and explore while staying at a 5-star hotel, here are some hotels that offer great accommodations and a lot more. Open since 2009, this secluded resort has quickly become one of the must-visit locations for an outdoor getaway on the East Coast. 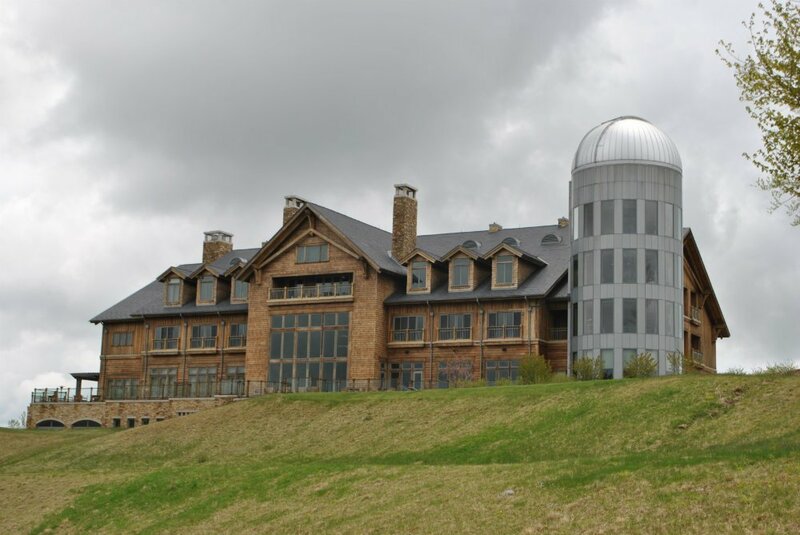 Sure, guests have the opportunity to engage in typical outdoor activities like guided nature hikes and bird watching tours, but Primland also offers sporting clays, geocaching, mountain bikes and stargazing (there is a state-of-the-art observatory situated in a silo at the main lodge). If those activities aren’t enough to keep you busy, there is always fly-fishing, swimming or tree climbing (ropes required). We challenge you to find all of that in a B & B! The range of offerings doesn’t stop when you move indoors and have to decide where to lay your head at night. The lodge is comprised of 26 rooms and suites, each offering a unique floor plan and features. From the smallest Piedmont rooms – still measuring over 500-square-feet – to the two-story Pinnacles suite, to the most recently-added tree houses, all rooms boast hardwood floors, Frette linens, Culti bath products and fully automated Lutron shade and lighting systems which control the blinds and dim the lights at the mere touch of a button. If you need more space, there are three two-bedroom fairway cottages and 11 mountain homes all available for overnight, weekend and week-long stays. Constructed in 1992, the Post Ranch Inn offers rustic but elegant accommodations. 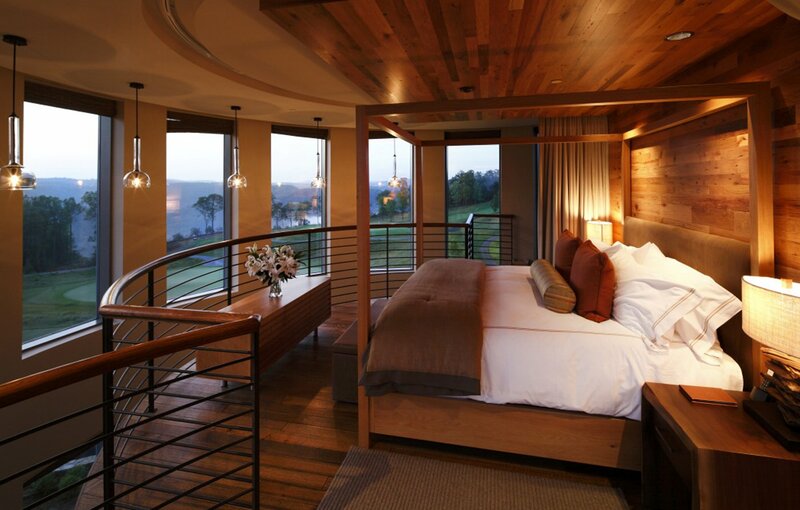 Guests have a choice of 40 rooms in stand-alone houses, all with indoor or outdoor spa tubs, wood-burning fireplaces, leather furniture, wooden ceilings, king-size beds and majestic views of the surf or mountains. 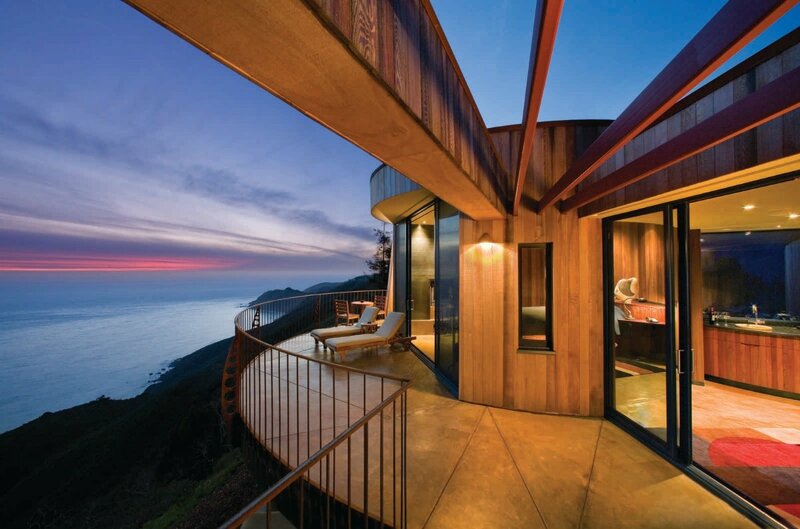 The Cliff Houses, Peak Houses and Pacific Suites on the south end of the property feature reclaimed lumber, floor-to-ceiling windows and in the case of the Peak Houses, cantilevered terraces. Many of the lodgings feel very private. It’s as if you have the sprawling land all to yourself. The ranch’s commitment to preserving the area’s environment—using natural and earth-friendly building materials, reducing wattage lighting, protecting rare and endangered species—ensures that said environment isn’t damaged for the sake of luxury. The Post Ranch Inn never pressures you into participating in activities but offers several choices throughout the day. Guides lead guests on nature walks through the redwood and oak forest during the day and during the evening, the hotel’s resident astronomer teaches guests about the cosmos; the electronic telescope lets you see the night sky in all its brilliant glory. Easily distinguished as one of the nation’s scenic wonders, the Big Sur coastline is comprised of 90 miles of narrow winding roadway that reaches out to ocean bluffs and down to wooded canyons to offer some of the world’s most dramatic coastal scenery. 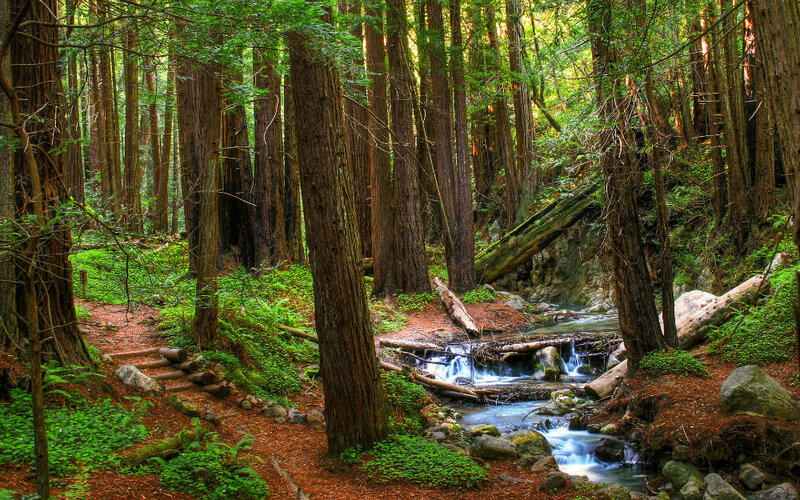 Big Sur offers a wide range of hiking trails for all levels of hikers. Pull on your boots and hike deep into the tree-lined canyons of beautiful redwoods thought to be seen only in postcards. You won’t find a city here, rather a drop-out state of mind with hidden beaches, rock-pounding surf, wildlife-filled wild-land and funky stops. Of course, there are faster ways to travel the same distance, but I defy you to discover a more adventurous and ruggedly gorgeous route that is authentic California at its best. 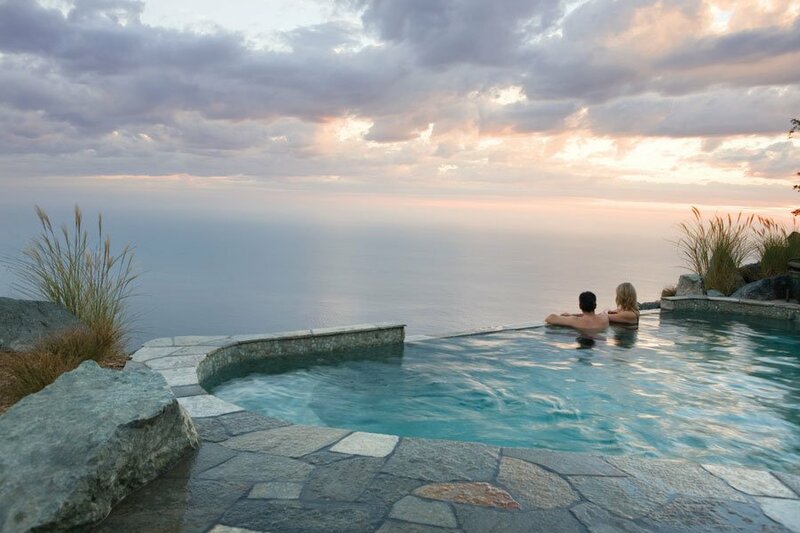 January-March is one of the best times to visit Big Sur. The mesmerizing migration of the winter gray whale is in full motion along this stretch of the Pacific; and the temperatures stay moderate all day. Aspen’s Little Nell has an enviable ski-in/ski-out location at the base of Aspen Mountain, while drivers will also shuttle skiers to nearby Snowmass Aspen Highlands and Buttermilk. The 92 spacious rooms opt for a masculine, clean look in creams, browns and blues, with walnut details designed by Holly Hunt. Folks in Colorado will often tell you that “they came for the winter, but stayed for the summer” with its long days, hot but dry temperatures, and perfectly blue skies except for the briefest afternoon thunder showers. 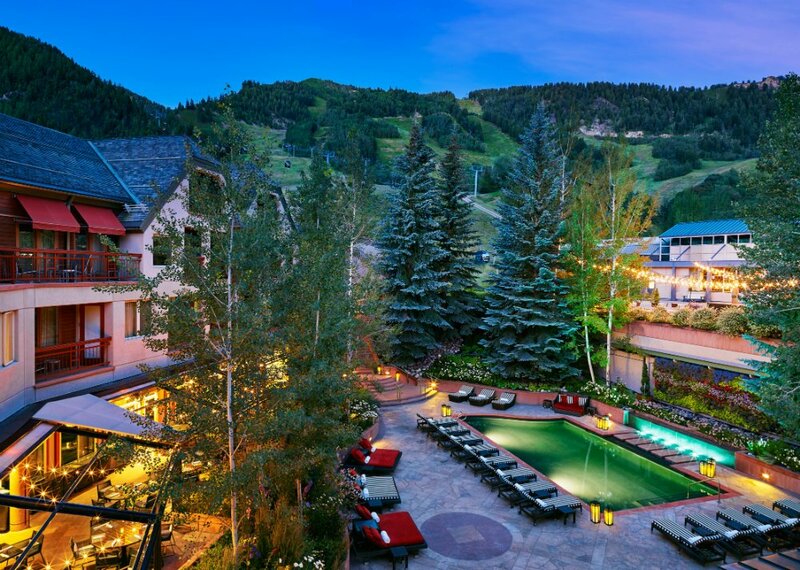 Aspen already has a crowded line up of cultural events, but the Little Nell’s Summer and Winter Adventures make your stay all the more exciting. Executive Chef Matt Zubrod oversees element 47, the hotel’s five-star restaurant that serves breakfast, lunch and dinner, as well as Ajax Tavern, which sits slope side with a sun-soaked patio—the place to go for burgers and their signature truffle fries after a day of skiing or mountain biking. 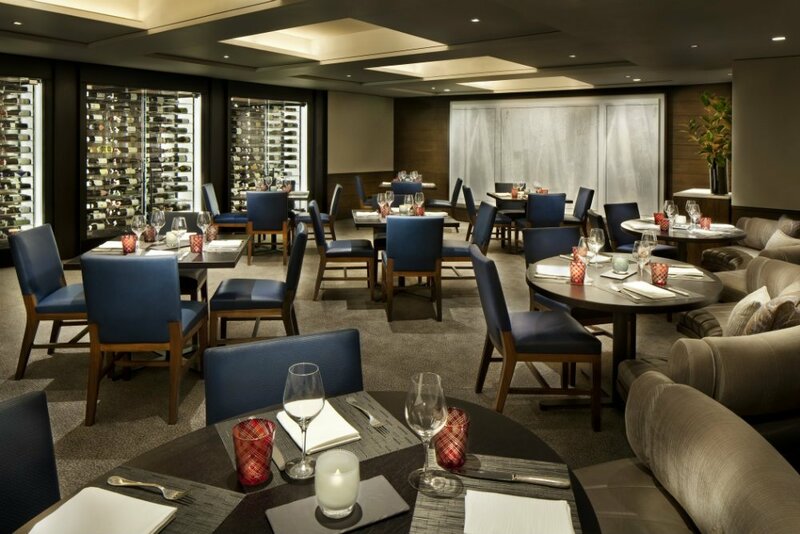 Master Sommelier Carlton McCoy oversees the hotel’s 20,000-bottle wine cellar and team of 39 sommeliers on staff and counting. The health center features three treatment rooms and en-suite massages are available. The pool sits in the courtyard at the heart of the hotel and, in the summer, features the only living wall in Aspen as its backdrop. 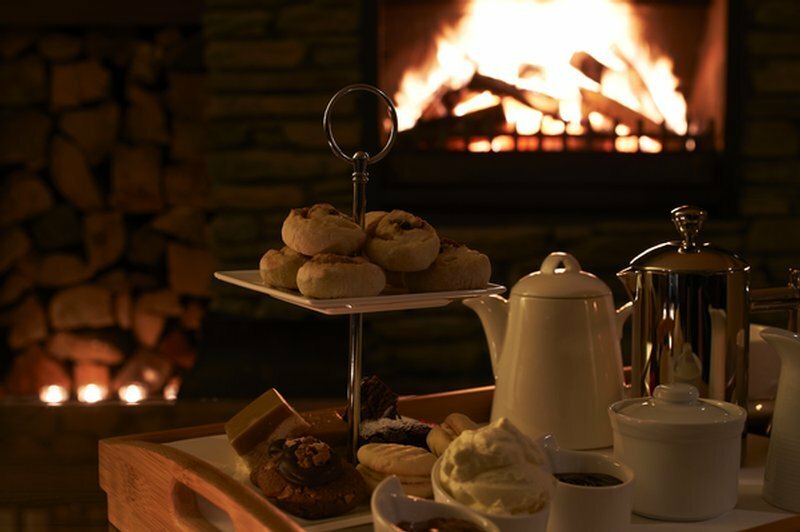 If you can’t find enough to do while staying at The Little Nell, you’re not trying very hard. 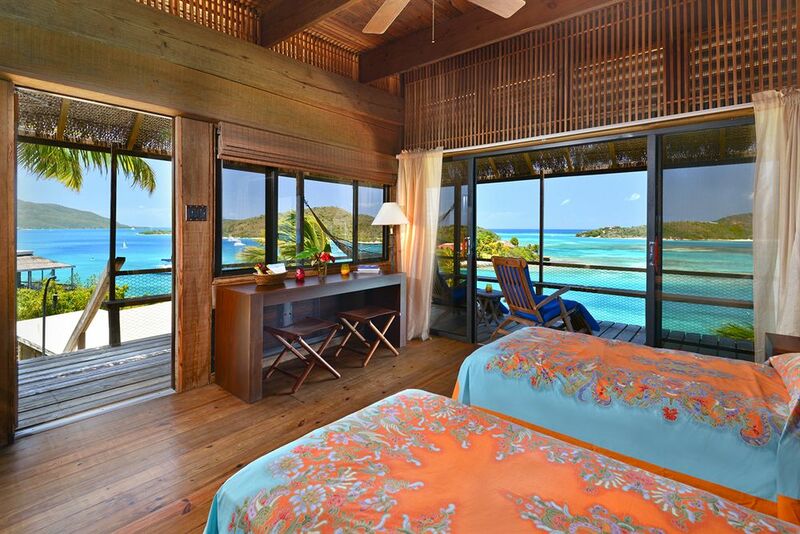 Everything you’ll want is included in your room rate—three meals per day at any of the resort’s five restaurants, an introductory sailing course, and access to the Club. Whether you utilize professionals on staff for a lesson or not, rest assure they will have what you need to hit the open water. 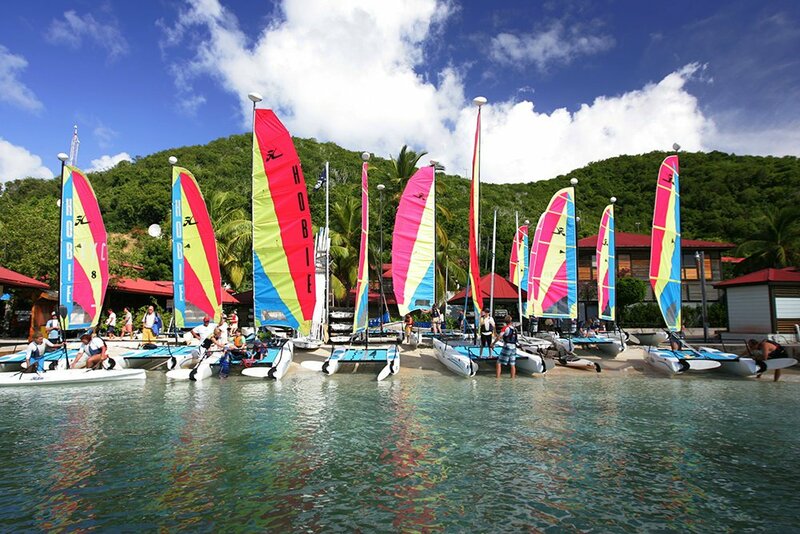 BEYC has a fleet of more than 100 windsurfers, kayaks, catamarans, stand-up paddleboards and dinghies—guests can also take both sailing and kiteboarding lessons. Kids can try it all too, through the Junior Watersports Program. For serious water lovers, the sailing school has 101, 102, 201 and 202 level classes, and the PASA-certified Kiteboarding School presents a rare opportunity to practice in some of the best kiteboarding conditions on the planet. Just a minute’s walk to the town center, this delightful 5-star, boutique hotel is a friendly, exclusive escape—though you might not know from the front door. Recently refurbished, there are 13 ensuite bedrooms, a large lounge, breakfast room, private library, bar, spa & off street parking. While staying at The Dairy is a pleasure in it’s own right, what makes it really special, to the adventurist, is its location—Queenstown. Home to the latest and greatest adventure activities, there are Queenstown adrenaline activities for every thrill seeker, from iconic Queenstown bungy jumping to whitewater rafting, river surfing, canyon swinging and thrills on a jet boat. The region’s geography, flora and fauna are incredibly diverse and can be explored via a range of stunning hiking and biking trails. And many of the trails begin in close proximity to The Dairy, making a stay there even more convenient for the active traveler. 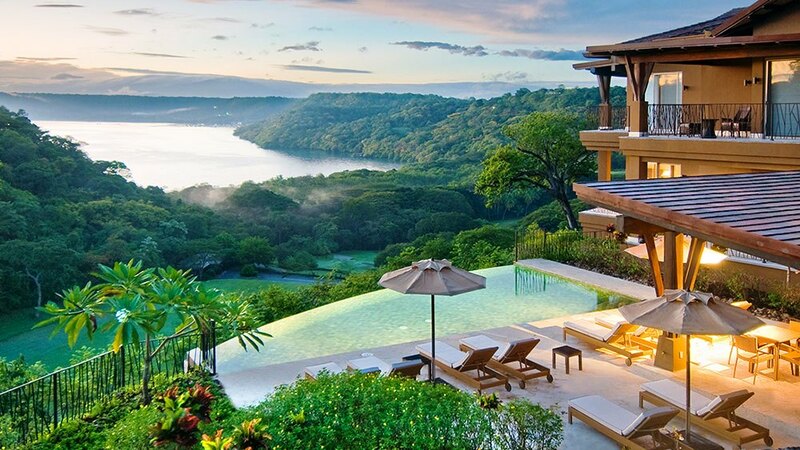 Located on exclusive Peninsula Papagayo, this Four Seasons is a master-planned resort community encompassing 930 hectares (2,300 acres). 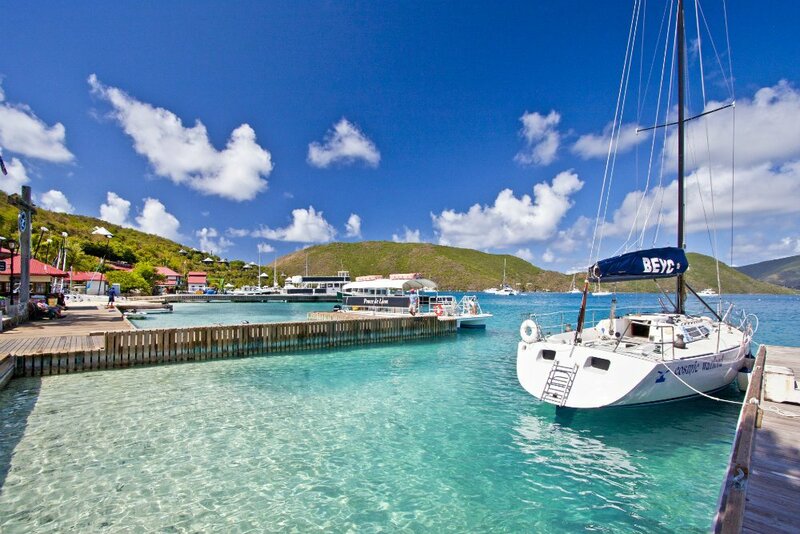 The secluded natural sanctuary provides abundant opportunities to experience eco-adventure on land and in the water. From wildlife refuges in natural rain forest to canyon and zip-line adventures, to deep sea fishing the Four Seasons Costa Rica has it all. The best (and most fun) way to see the landscape is from above, on a zip-line tour through the canopy. Witch’s Rock Canopy Tour is located just 20 minutes from the Resort and includes 24 platforms, 11 cables from 100 to 450 meters in length, 3 suspension bridges and three climbing trees. The views range from dry forest to ocean to waterfalls to sunset. You’ve heard of the world famous surfing in Costa Rica? The small, nearby town of Tamarindo caters to surfers at all levels, offering easy access to a number of beach and reef breaks, such as Playa Negra (one of the best surf spots in Costa Rica), Witch’s Rock and Ollie’s Point. Located on the Pacific Coast, this is a perfect area for exploring a variety of surfing breaks in a short period of time. Consistent swells and offshore winds provide good surf conditions throughout the year. More of a nature buff? Scientists from all over the world come to Palo Verde National Park and Wildlife Refuge to study its rich ecosystem of rivers, marshland, mangroves and dry forest, where crocodiles, monkeys and iguanas make their homes. The leafless trees in this dry tropical forest make it easy to view up to 300 species of birds. Flat-bottomed boat tours are the perfect way to witness the park’s wildlife. Of course, Gleneagles is known for golf—it was home to the 2014 Ryder Cup and boasts three of Scotland’s best championship courses—but if all you play is golf at Gleneagles then you are merely scratching the surface. Described as “a Riviera in the Highlands” when it first opened in 1924, the resort remains dedicated to excellence, offering guests an unrivalled choice of sports and leisure facilities. Gleneagles is also known—deservedly—as a family resort that caters to the needs of 21st-century families, from complimentary kids’ activities (including a kids club that is as nice as you’ll find) to custom activities you won’t find most places like falconry and gundog training. The resort has just launched a new Family Country Pursuits package designed to encourage families to challenge themselves with activities they couldn’t do at home—everything from hawking to off-road driving, archery, shooting, riding and training the adorable gundogs. Of course, all of these activities and many more are available to the adults as well. Sporting clays (based on a sporting layout, meant to simulate the flights of game birds), Equestrian school, indoor tennis, swimming, croquet, cycling, off-road driving—they have it all. Gleneagles’ trout lochs provide the finest fishing for the expert seeking to extend their range or for a wonderful introduction to the sport, while the legendary Shooting School is open to everyone from crack-shots to those who are new to the sport. The latest “country pursuit” to be added is The Gundog School, where you work with an affable group of sleek Labradors, learning how to get the most of their agility, incorporating obedience and handling. And if mixing it up with the local Labradors does not excite you, perhaps off-roading in LandRovers and All-Terrain vehicles is more your speed. Being surrounded by moors, hillside and forested areas lends the resort to spectacular opportunities for just about anything. 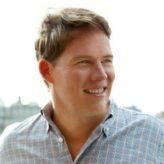 This article was originally featured on GoodLife Report. Reprinted with permission.